Ants will come into your home looking for food or water, especially if they have constructed their nest on or near to your property. They don’t exactly have a discerning taste either, and the various species are attracted to anything from sweets and meat to fats and oils. If they find lots of food debris lying around you can be sure that they will go back to the colony and bring all their friends back with them. 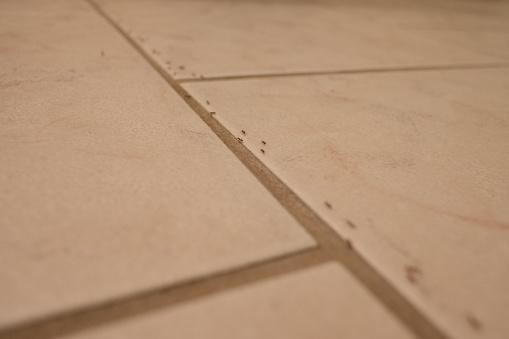 Controlling an ant infestation can be difficult as they can enter your property through the tiniest crack, leaving a pheromone trail for their pals to follow once they’ve found a source of food. 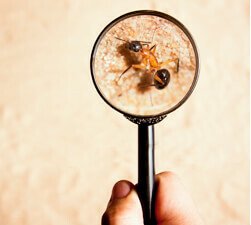 To actively combat the possibility of an ant infestation, you can take a variety of preventative measures including cleaning up spills immediately, sealing cracks in your property, regularly cleaning your gutters, and keeping your food stored in containers. 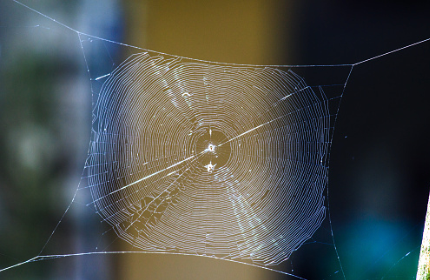 There are a variety of Spiders of all shapes and sizes around Melbourne, with their own unique likes and dislikes that may make your property the perfect home for them. With this in mind, treating an infestation is hard to diagnose until we know the species that has taken up residence as they thrive in a variety of different environments – some live outdoors and build webs, others have adapted to conditions indoors and live in cavities in your property, and some build their nests in burrows in the ground. If you see hints of spider infestation around your home there are some preventative measures you can take to protect you and your family – you can vacuum up any webs you see around your property and shake out clothes that have been washed and hung out to dry as the creepy crawlies can be attracted to damp environments. If you come across a silk sack attached to a surface or web, this is likely to be a spider egg sack and if it is not disposed of quickly and by an expert you will soon have a ton of baby spiders to deal with in addition to your initial problem. Now you know what may cause ants and spiders to move in with you, and can spot the tell tail signs that you have a problem, you will be better equipped for catching an infestation early enough for it not to have too much impact on your home. If you come across signs such as this we are happy to provide advice. Call Dawson’s, the pest professionals, on (03) 9222 2266.